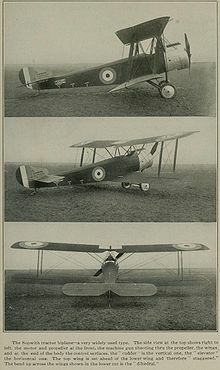 The Sopwith Aviation Company was a British aircraft company that designed and manufactured aeroplanes mainly for the British Royal Naval Air Service, Royal Flying Corps and later Royal Air Force in the First World War, most famously the Sopwith Camel. Sopwith aircraft were also used in varying numbers by the French, Belgian, and American air services during the War. The company was founded in Kingston upon Thames by Thomas Octave Murdoch (Tommy, later Sir Thomas) Sopwith, a well-to-do gentleman sportsman interested in aviation, yachting and motor-racing, in June 1912, when Sopwith was only 24 years old. The company's first factory premises opened that December in a recently closed roller skating rink in Canbury Park Road near Kingston Railway Station in South West London. An early collaboration with the S. E. Saunders boatyard of East Cowes on the Isle of Wight, in 1913, produced the Sopwith "Bat Boat", an early Flying boat with a Consuta laminated hull which could operate on sea or land. A small factory subsequently opened in Woolston, Hampshire in 1914. During the First World War, the company made more than 16,000 aircraft and employed 5,000 people. Many more of the company's aircraft were made by subcontractors rather than by Sopwiths themselves. These included Fairey, Clayton and Shuttleworth, William Beardmore and Company and Ruston Proctor. After the war, the company attempted to produce aircraft for the civil market based on their wartime types, such as the Dove derivative of the Pup and the Swallow, a single-winged Camel, but the wide availability of war-surplus aircraft at knock-down prices meant this was never economic. In 1919 the company worked with ABC motorcycles and produced 400cc flat twin motorcycles under licence. They also purchased ABC Motors in an attempt to diversify, but this venture also failed. The Sopwith company was wound up in 1920 after the business collapsed, and in the face of a potential large demand from the government for Excess War Profits Duty. Upon the liquidation of the Sopwith company, Tom Sopwith himself, together with Harry Hawker, Fred Sigrist and Bill Eyre, immediately formed H.G. Hawker Engineering, forerunner of the Hawker Aircraft and Hawker Siddeley lineage. Sopwith was Chairman of Hawker Siddeley until his retirement. Hawker and its successors produced many more famous military aircraft, including the inter-war Hart, and Demon; World War II's Hurricane, Typhoon, and Tempest; and the post-war Sea Fury, Hunter and Harrier. Incredibly, these later jet types were manufactured in exactly the same factory buildings used to produce Sopwith Snipes in 1918. Picture - The Sopwith "Schneider" (a float-equipped Sopwith Tabloid) at the 1914 Schneider Trophy in Monaco. 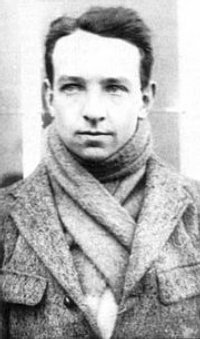 Initially, Tom Sopwith himself, assisted by his former personal mechanic Fred Sigrist, led the design of the company's types. Following a number of unremarkable pre-war designs for the Royal Naval Air Service, such as the Three-Seater and Bat-Boat, Sopwith's first major success was the fast and compact (hence the name) Tabloid, a design which first showed the influence of the company's test pilot, the Australian Harry Hawker. A float-equipped version of this aircraft won the Schneider Trophy in 1914. The landplane version was used by both the RNAS and RFC at the start of the war. With higher power and floats, the type evolved into the Sopwith Baby, which was a workhorse of the RNAS for much of the First World War. In 1916, Herbert Smith became Chief Engineer of the Sopwith company, and under his design leadership its other successful World War I types included the larger Type 9901. This aircraft, better known as the 1� Strutter due to its unconventional cabane strut arrangement, was used from 1916 by the RNAS, RFC and the French Aviation Militaire as a single-seat bomber, two seat fighter and artillery spotter and trainer. Soon after came the small and agile single-seat Scout, which quickly became better known as the Pup because of its obvious descent from the 1� Strutter. The Pup and 1� Strutter were the first successful British tractor fighters equipped with a synchronising gear to allow a machine gun to fire through the rotating propeller. This gear was known as the Sopwith-Kauper gear from its designers, although several other designs were used later. The Pup was widely used on the Western Front by the RFC and from ships by the RNAS from the autumn of 1916 to the early summer of 1917, and was considered a delight to fly by its pilots. It continued in use as an advanced trainer for the remainder of the War. The Pup began the famous series of animal-named Sopwith aircraft during the war, which, as a whole, would become renowned in aviation history as "The Flying Zoo". Experimentally equipped with three narrow-chord wings and a more powerful engine, the Pup led to the Triplane, which was used by just four squadrons of the RNAS during 1917, but became well-known for its startling fighting qualities, put to best use by Raymond Collishaw's famous 'Black Flight' of 'Naval 10' (No. 10 Squadron RNAS). This flight was so called due to the black identification colour of the flight's aircraft, which in turn led to their naming as Black Maria, Black Prince, Black Death, Black Roger and Black Sheep. Such was the impact of this type that it spawned a large number of experimental triplane designs from manufacturers on all sides, although only the Fokker Triplane achieved any subsequent success. Bruce, J.M. "The Sopwith Bat-Boat" Part 1. Aeroplane Monthly, August 1991,Vol 19 No. 8. London:IPC. ISSN 0143-7240. pp. 484-487, 500. Sopwith Aviation Company Pictures and Sopwith Aviation Company for Sale.